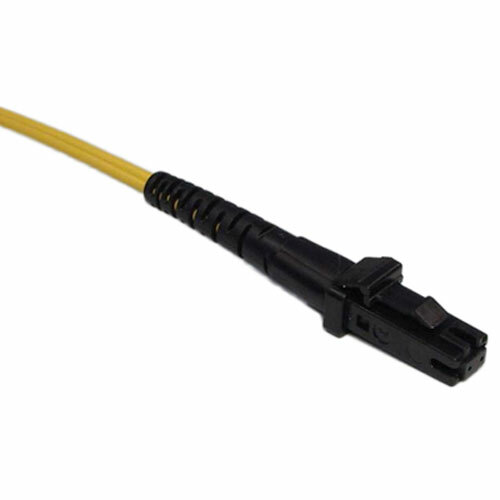 Fiber optic pigtail is a piece of fiber optic cable with only one fiber optic connector on one side of the cable, there are single mode and multimode fiber optic pigtails, which can be with various types of fiber optic terminations such as LC, SC, ST, FC, MTRJ, MU, E2000, MPO, etc. The typical use of fiber optic pigtails is to link the fiber optic cable with fiber optic equipment. The fiber optic pigtail with connector side is used to link the equipment, while the other side of the pigtail is melted together with the fiber cable, by melting together the fiber glasses, it can reach a minimum insertion loss. Common types of fiber optic pigtails are usually with 0.9mm fiber cable diameter, and usually installed inside ODF unit. Most commonly used types are SC fiber optic pigtail, ST fiber optic pigtail, FC fiber optic pigail, LC fiber optic pigtail, MTRJ fiber optic pigtail, SC/APC fiber optic pigtail, FC/APC fiber optic pigtail and E2000 fiber optic pigtail. 11) Customized specifications are welcomed. 7) Video and military active device termination.